Bed sheets for 6'6" or 7ft Emperor size beds. Emperor beds are some of the largest available in the UK, these beds are usually available via specialist stores but are becoming more popular. 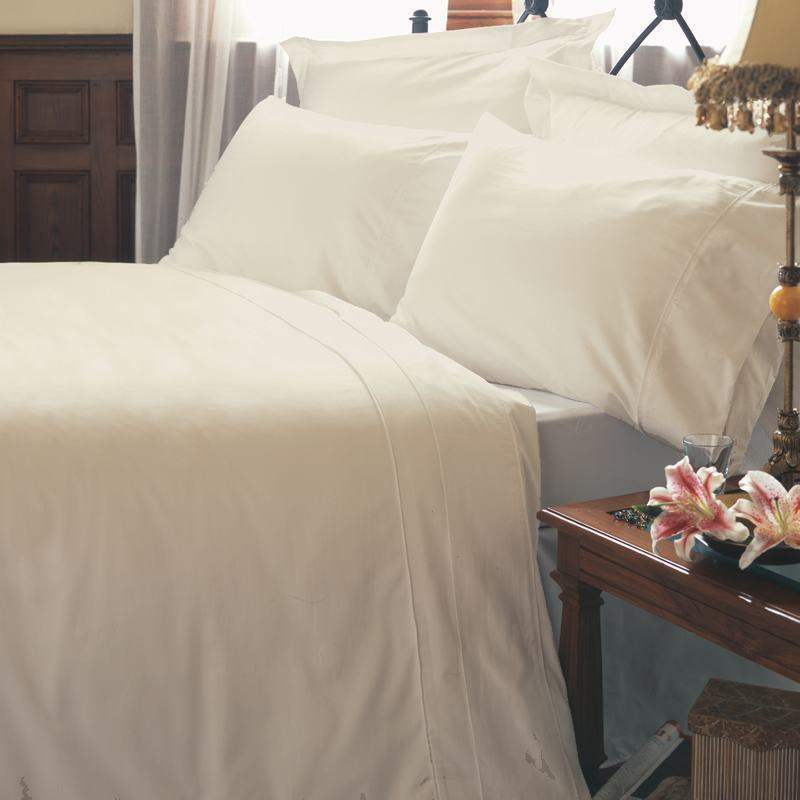 Victoria Linen have bed sheets that are made to extra large sizes in order to accommodate both Emperor and Caesar beds. These sheets are cut from the roll in our workshop and so we can tweak and adjust our sizes. For example if your bed is extra deep we can add extra to make sure it fits perfectly. Our large range of bed sheets are available in superior 200, 400 & 1000 thread counts in both poly cotton and 100% Cotton fabrics. Emperor Bed Sheet in 400 Thread Count100% Cotton Bedding for 6ft 6 and 7ft Beds.Emperor bed linen is..